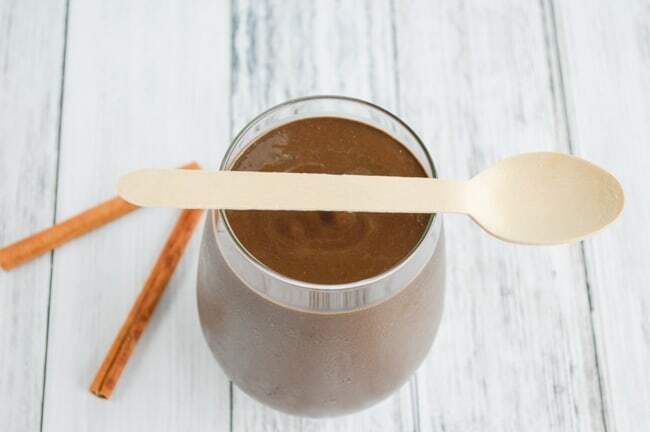 At first glance, this smoothie simply seems thick and chocolaty. It is both of these things, but it’s also secretly a “green” smoothie and full of avocado! 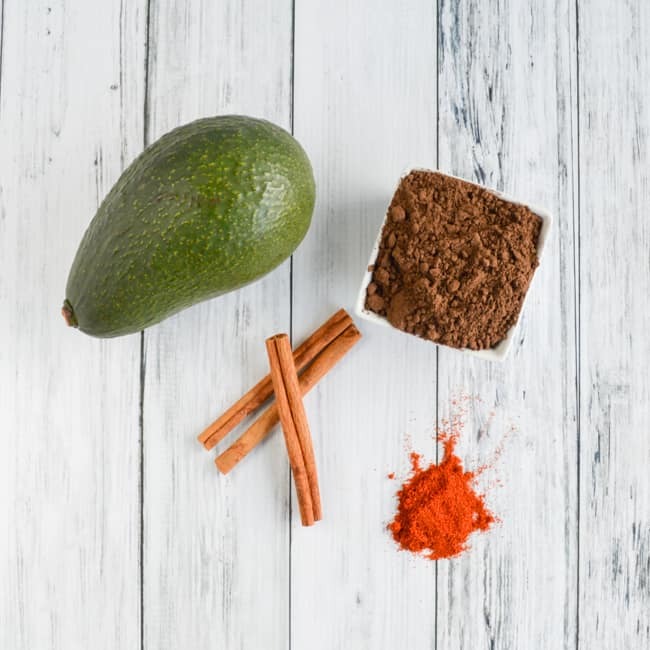 Avocado is high in fat, but it’s “good fat,” and it’s full of fiber, low in sugar, and has plenty of vitamins and minerals. Add that to spinach, carrots, unsweetened cacao powder, and a few warming spices to create a tasty, filling smoothie. 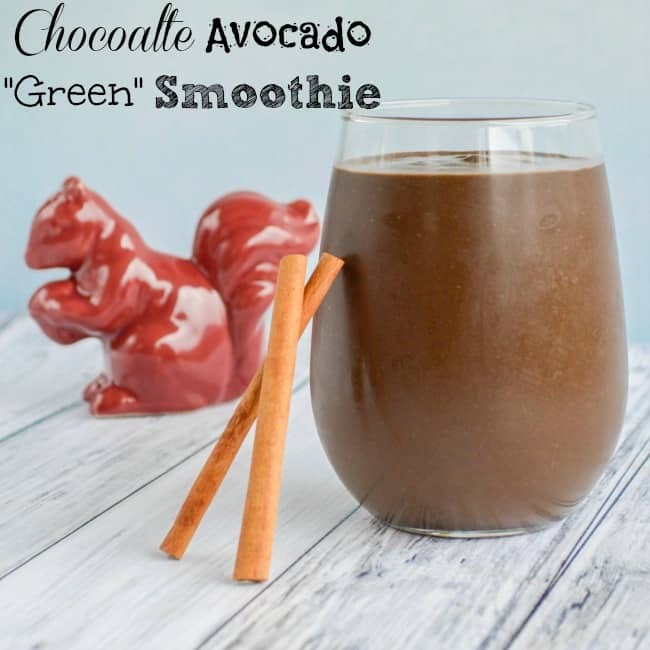 This chocolate avocado green smoothie is a decadent, satisfying breakfast or snack! 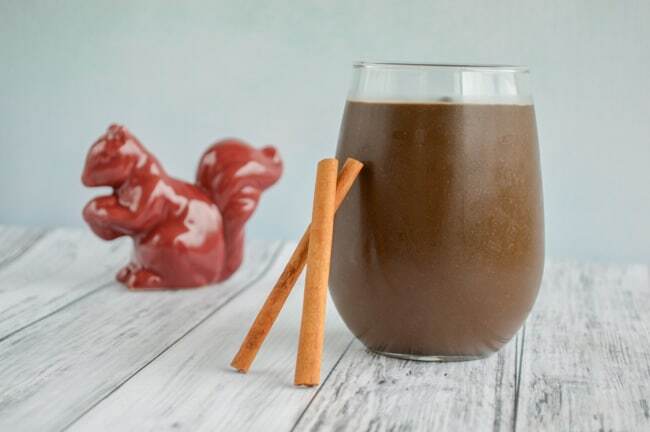 The warmth in this smoothie comes from a bit of cinnamon and a pinch of cayenne. Don’t worry – there isn’t that much cayenne in the finished smoothie! But there is plenty of chocolate. 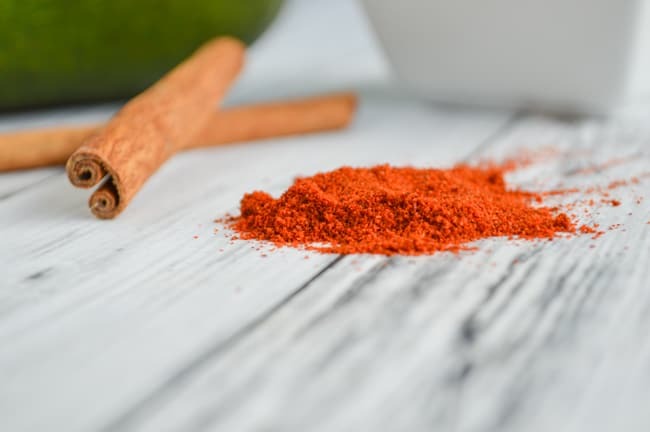 Cayenne may seem like a very odd ingredient for a smoothie, but the first chocolate beverages were prepared with spicy peppers. Plus, cayenne is really good for you. Just add a little pinch to the smoothie and you won’t even know it’s there. In case you’re not familiar with prepping avocado, all you need to do is wash/scrub it off (yes, I’m weird and like to wash fruits and vegetables before cutting them so surface contaminates don’t use the knife to travel into the item), slice it in half “length ways”, pop out the seed, and scoop the flesh out of half the rind. To keep the unused half looking bright and beautiful, squeeze a little fresh lemon juice on it, wrap it tightly, and place it in the fridge. The lemon juice helps keep the flesh from turning brown and icky looking (like a banana or apple will when exposed to air). Add everything except the ice cubes to your blender cup or pitcher and blend until smooth. This takes me less than 30 seconds. Open up your blending container and take a look at the smoothie. It will probably be pretty thick! Add 2 or 3 ice cubes, close the blender back up, and pulse to break up the ice. Add more ice or liquid, as necessary, until you're happy with your personal smoothie creation. Quite honestly, I usually can’t finish all 16 ounces of chocolaty goodness by myself – it’s just too filling! I simply pour the leftovers into silicone baking cups and then place them in the freezer. The next day, I turn the smoothie ice cubes out of the baking cups and store them in a ziplock bag in the freezer until I want to combine them with more milk to make a super quick smoothie another day. The really amazing thing about this smoothie is that you can give it to unsuspecting people and they won’t guess it has avocado, carrots, and spinach. They’ll just think it’s a super creamy, rich chocolaty creation and won’t guess that there are healthy ingredients are hiding inside! Plus, unlike most smoothies that melt pretty quickly, most of this one’s thickness comes from the avocado, so you can take your time enjoying it without it turning all runny on you. 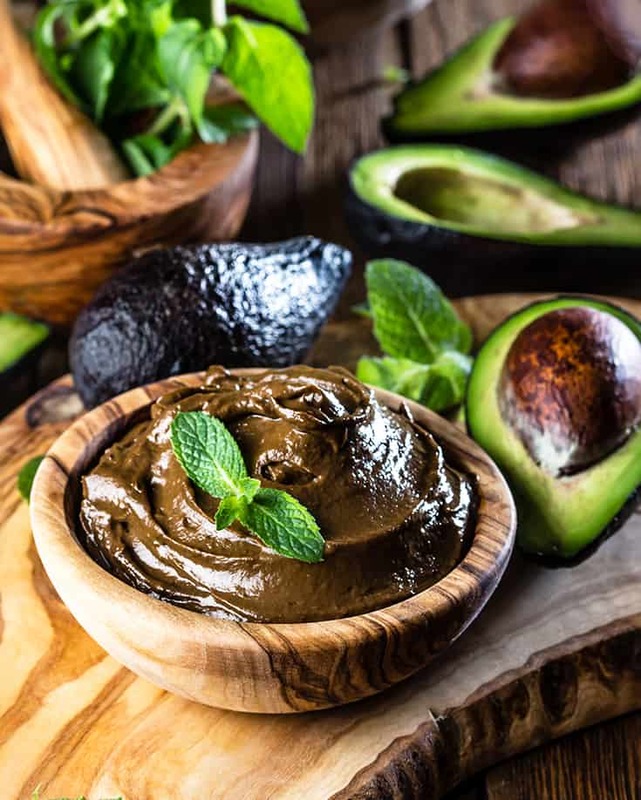 If you enjoy the rich, creamy combination of chocolate and avocado, you’ll probably also like this Paleo chocolate avocado pudding! Chocolate!! That’s my kind of green shake!! You really can’t even taste the vegetables. 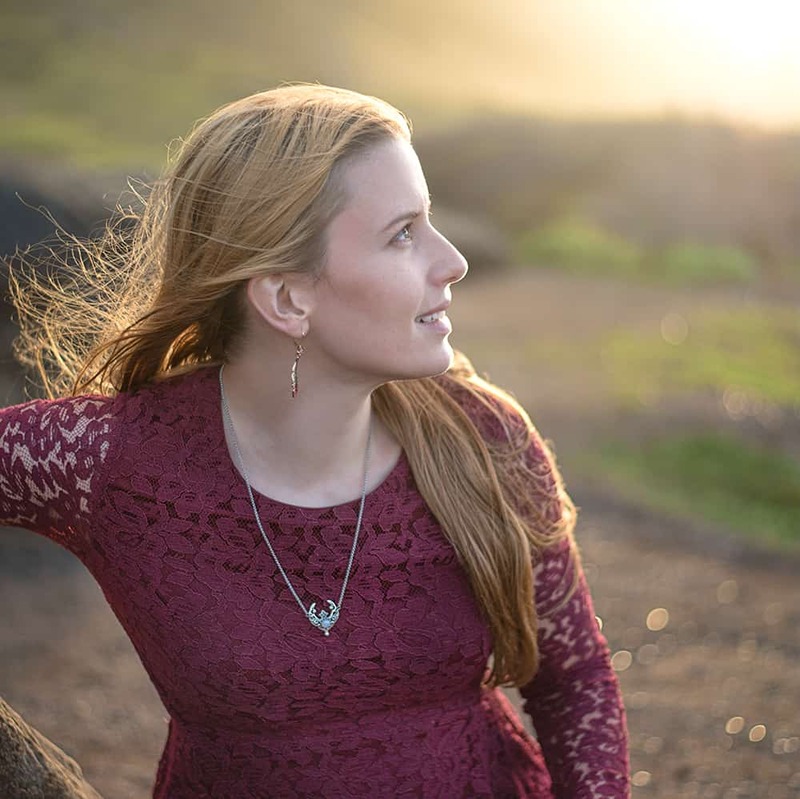 It’s pretty amazing! Love avocado! I think maybe too much… that healthy fat still respond as a fat for my body 🙂 Maybe it is an age 🙂 ohh! love this idea of adding it to my new smoothy! Thank you Natasha!!!! Even a few chunks of avocado will really make a smoothie creamy. I guess it’s just my metabolism, but carbs are what get me instantly, not fat. I can eat cheese, nuts, and avocado all day long, but if I add in some bread or crackers my body just wants to store those carbs as fat right away!